D. Douglas Grubbs has been helping victims of defective pharmaceutical products since early 2004 when he assisted with a nationwide Fen-Phen docket comprising more than 7,000 injured men and women. From 2005 to 2008, Doug attended South Texas College of Law where he made the Dean’s Honor List. Throughout law school, Doug also clerked at a nationally recognized mass tort law firm in Houston. 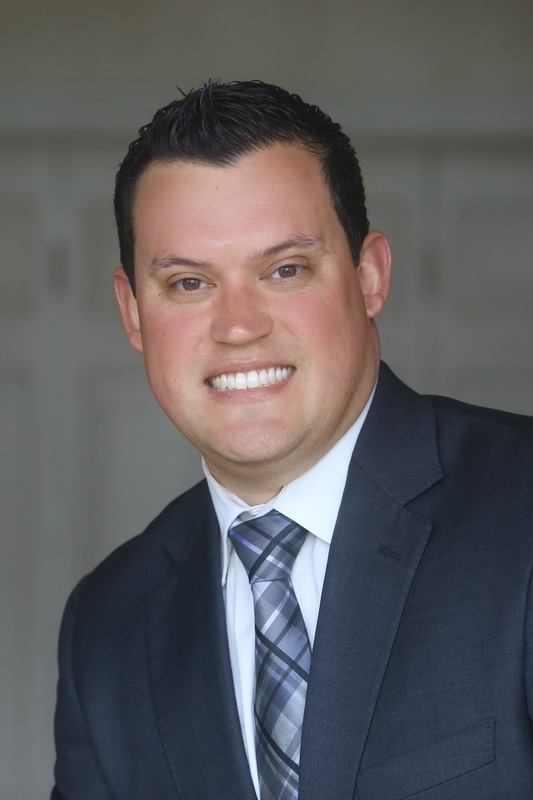 After earning his jurisprudence doctorate in 2008, Doug accepted an associate position at a prominent East Texas law firm where he focused his practice on the firm’s national pharmaceutical and medical device dockets. During that time, Doug also advocated for those who had been injured as a result of negligent drivers, medical malpractice, and unsafe work premises. Mr. Grubbs returned to Houston in 2012, continuing to represent those wrongfully injured by negligent pharmaceutical and medical device companies. Doug’s diverse experience in products liability litigation allows him to quickly determine the merits of a potentially successful claim. He has also been involved in numerous facets of mass tort litigation including depositions, motion practice, written discovery, witness and trial preparation, as well as settlement negotiations. 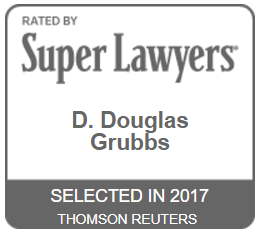 In honor of his excellence in the practice of law, Doug has been recognized by his peers as a 2013, 2014, 2015, 2016, 2017, 2018, and 2019 Texas Super Lawyers – Rising Star (a Thomson Reuters service). This recognition is awarded to only 2.5% of emerging attorneys in Texas 40 years old or younger, or those who have been practicing law for 10 years or less. 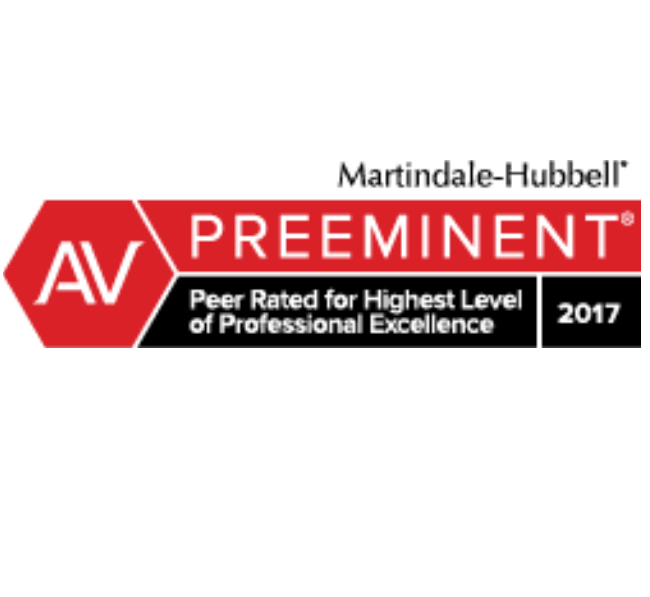 In 2013, Doug joined a select group of lawyers recognized for their legal ability and professional ethical standards by receiving an AV® Preeminent Peer Review rating (a Martindale-Hubbell service). An AV® certification mark is a testament to the fact that Doug’s peers ranked him at the highest level of professional excellence. Doug has also received a 5 out of 5 preeminent client review rating from an IVC filter client. 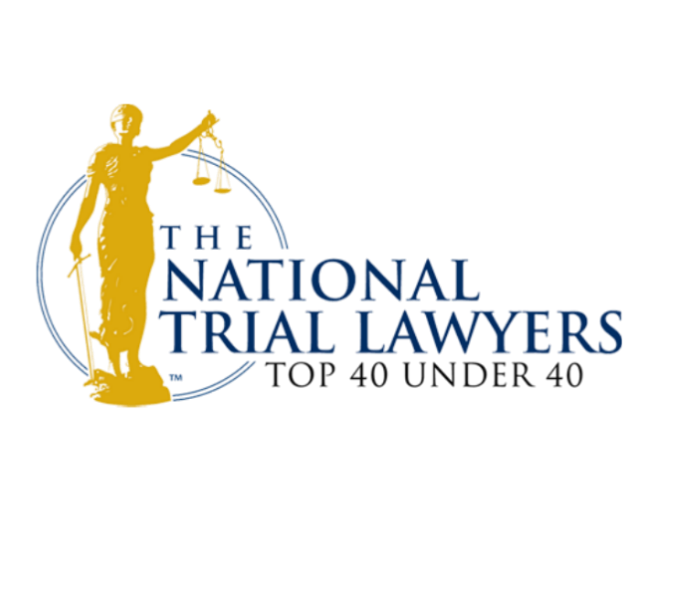 In 2016, Doug was invited to join The National Trial Lawyers: Top 40 under 40. 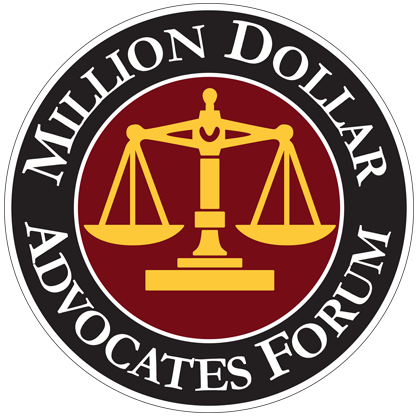 Membership is extended solely to a select few of the most qualified attorneys from each state who demonstrate superior qualifications of leadership, reputation, influence, stature, and public profile. Invitees must exemplify superior qualifications, trial results, and leadership as a young lawyer under the age of 40. 2:10-cv-00083-TJW, United States District Court for the Eastern District of Texas, resulting in successful resolution for plaintiff. Cause No. 2009-386, 123rd District Court of Panola County, resulting in a jury verdict three times the defendant’s pretrial offer. Cause No. 2007-1352-B, 124th District Court of Gregg County, resulting in a jury verdict for plaintiffs. Superior Court of New Jersey – Atlantic County, resulting in successful resolution for plaintiff. Weaver v. Cook Medical Inc.
CV50651, District Court of Midland County, pending litigation. “Thank you so much for all of your work on my behalf. I know that you and your team did your best to procure the best settlement for me. I appreciate, very much, all your work!! Please extend my heartfelt thanks to all members of your team.” Joan R.
“With my deepest appreciation to Mr. Grubbs and Ashley for helping me through this litigation. Thanks so much.” Christine S.
“On more than one occasion, Mr. Grubbs spoke with me at length taking as much time as needed to explain nuances of procedure and law. This was much appreciated and reassuring.” Aubrey W.